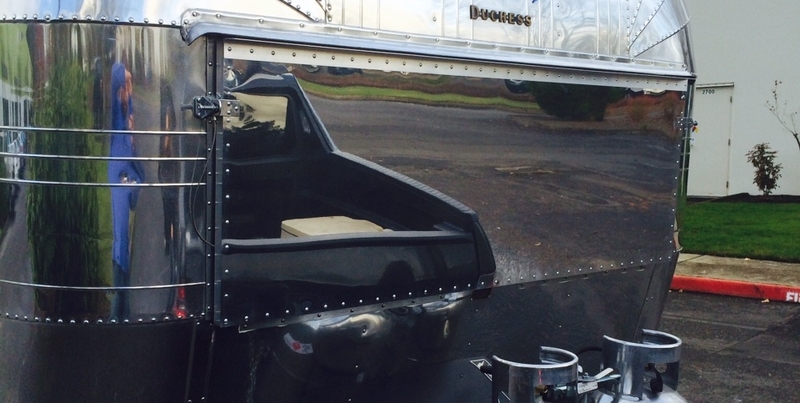 CUSTOM ROCK GUARD - Silver bullet trailer inc. While on the road with your trailer, there is a great chance for the front window to get broken by rocks. Reproduction rock guards available on the market don't work with Airstream trailers older than 1966, or ones with vintage style drip caps above windows. At Silver Bullet Trailer we developed and custom make Flip-Down rock guards that perform with any Airstream that was built before 1969. 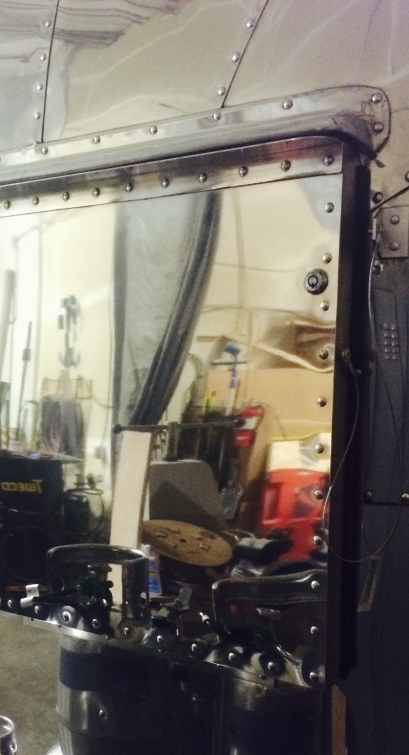 Our rock guards are entirely made out of aluminum and riveted the same way Airstream trailers are made. 2024T3 aluminum skin is the same as the one on your trailer and will provide adequate protection from flying elements. 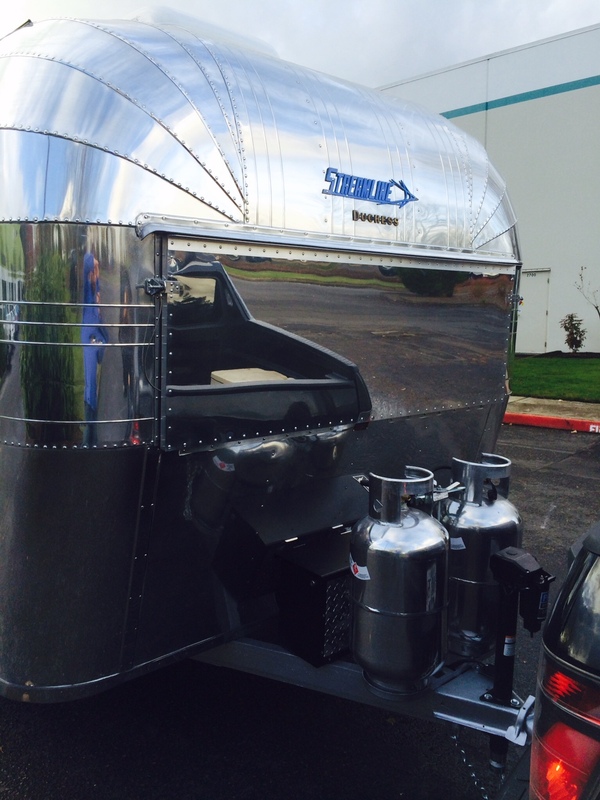 If desired, it can be polished to blend with your polished trailer. Unlike conventional rock guards, Flip-Down is attached onto the bottom of the window and flips down to allow unobstructed view and abundance of natural light. It might even serve as a shelf for light items. Optionally we use Lexan glass if desired. Flip-Down rock guard prices start at 549USD and can be installed in our shop.